These hand sanitizers are perfect for hospitals, daycares and on the go. Gojo Instant Hand Sanitizer Dispenser - 800 Ml. Gojo Purell Instant Hand Sanitizer - 1000 Ml. Gojo Purell Hand Sanitizer Bottle Pump - 2 Ltr. Gojo Purell Instant Hand Sanitizer - 12 Oz. Gojo Purell Instant Hand Sanitizer Refill Foam Clear - 1200 Ml. Gojo Purell Instant Hand Sanitizer - 800 Ml. 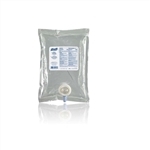 Bag In Box Instant Hand Sanitizer - 800 Ml. Hand Sanitizer Pump Bottle - 8 Oz. 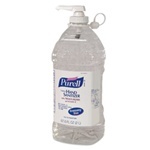 Purell Instant Hand Sanitizer Foam Refill - 1200 ml. Purell Instant Hand Sanitizer Flip Cap Bottle - 2 Oz. Purell Instant Hand Sanitizer Aloe Flip Cap Bottle - 2 Oz. Purell Instant Hand Sanitizer Pump Bottle - 8 fl.oz. 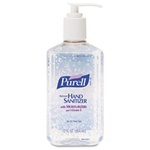 Purell Instant Hand Sanitizer - 1 Oz. Purell Instant Hand Sanitizer Flip Top Aloe - 2 Fl. Oz. 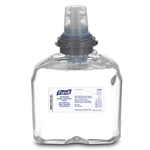 Purell Instant Hand Sanitizer Pump Bottle - 8 Fl. Oz. Safeguard Hand Sanitizer Gel - 40.5 Fl. Oz. Purell Instant Hand Sanitizer Pump Bottle Aloe - 2 Fl. Oz. Purell Advanced Green Certified Instant Hand Sanitizer - 1200 Ml. 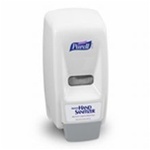 Hand Sanitizers for hotels, motels, hospital rooms, daycares, and dentist bathrooms. Our personal care Hand Sanitizers from Gojo Purell are the top brand of instant hand sanitizer in the world. Purell is one of the top 10 known brands in the world. Instant hand sanitizers allow you to quickly kill germs to help prevent the spread of germs by touch. You don't need water. Just squirt it on and let the solution kill germs and evaporate.